Set off the Pamlico River just outside of the town of Aurora are three waterfront creek homesites. These lots are more opportunity than anything else. Each site is protected from the main waterway and offer boating, kayaking, fishing and hunting. And any area that offers these outdoor activities will also offer something else-seclusion, serenity and natural beauty. Each home site is waterfront with great elevations and soil, state certified surveyed, county water-all with boating access at a nearby access ramp. Aurora is located in Beaufort County, NC. It is home to the renowned Aurora Fossil Museum. Local finds of fossilized reminisce of man and ocean life dating back 15 million years are on display there. Aurora is approximately 30 minutes away from the waterfront city of Washington, NC and an easy hour’s drive from historic New Bern. It is also equidistant from the beaches of the Crystal Coast and Kitty Hawk, Nags Head and Hatteras Island. 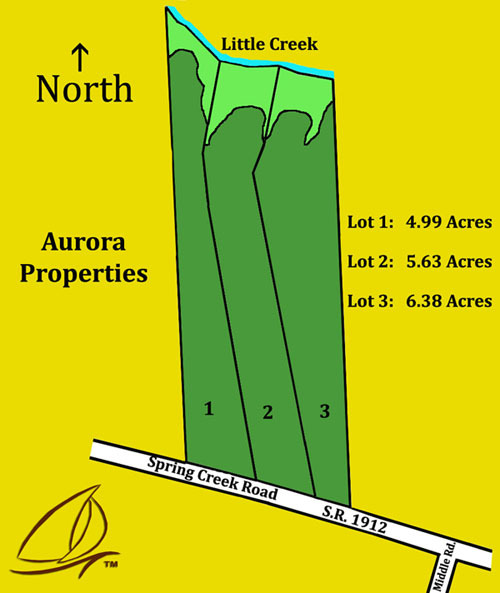 Aurora 5 acre waterfront lot prices start from $49,990. For maps, directions, prices and more information contact us today.